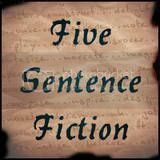 This entry was posted in Five Sentence Fiction and tagged Daddy, horror, light, smell, zombie. That’s very creepy and I felt like i was in his shadow. Great post. Pretty horrific, and a final sentence to make you shiver! I doubt he could feel that horror, which is horrific in itself. Thanks for the comment Lisa! Definitely horrific, on several levels. This is my first horror piece. I’m glad you liked it. Thanks for the comment. In each sentence there is a clue to that twist at the end but it’s still a shocker when it comes. Ive never attepmted horror either, this is a great first! Most definitely the way to do it… Excellent piece and really well written. Thanks for the lovely comments Rosalind. Which link is it that’s wrong? I can’t find it! hard to believe this is your first horror, you’ve captured the atmosphere really well, great job. That’s very kind. Thanks for the comment LE! Yikes! I’m glad I didn’t read this before bedtime. This is the stuff of nightmares. Good job, Andrew. Thanks so much Jayne. It was fun to get into his head for a moment! WOAH. Was not expecting that last sentence! Very creepy, very neatly crafted. Haha, I love your response Angela! Thanks for reading! This is a perfect example of packing the most punch with the least amount of words. A vivid, creepy story. Love it!! There’s nothing like a well-written horror story with a great twist. It’s the twist that makes it worthwhile I think. Thanks for the comment. Creepy! Loved seeing it from his point of view, very good! Thank you Melanie, and thanks for taking the time to read my work. I know everyone else has said it, but I’ll say it again. Creepy. That last line freaked me out a bit. Nicely done. Thank you CC. I’ll admit that this prompt was a bit of a stretch for me too. That’s how we grow though. Oh. No. That made my skin crawl. Brilliant writing! Thanks Wayne. I’m glad you enjoyed it! Ick. Gruesome. Good job, though. Thanks. Gruesome and Ick were what I was hoping for. Thank you for the kind words Michelle. It’s a good story, from the ‘inside’, and well crafted. Good fun! Thank you Denis. I’m glad you enjoyed it.